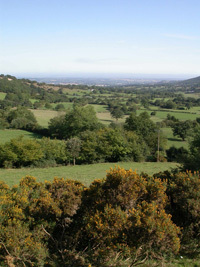 The BTO has a long history of research on issues specific to particular habitats, such as farmland and woodland. We investigate causes of population change, habitat effects on abundance and demography, design and testing of management measures, interspecific interactions and the details of species’ ecologies. This work ranges from national-scale analyses of the Trust’s large-scale, long-term datasets to specific, intensive field studies and has been supported by government, private trusts, industry, research councils and BTO appeals. We employ traditional field approaches from the territory to the landscape scale (including bespoke volunteer surveys), technological solutions (such as radio-tracking and nest cameras) and state-of-the-art analytical techniques. Our collaborators include other NGOs and charities, several universities and overseas bodies working in similar fields. We publish our research in a range of fora, including the top ecological and bird journals (such as Journal of Applied Ecology and Ibis) and our research has contributed directly to national policy development. In the future, we aim to continue working in these areas, but to expand our work in habitats such as urban areas and uplands. We will work to integrate other taxa, other countries and disciplines like socio-economics further into our research, forging new collaborations as necessary. We will also work to bridge the gap between intensive, territory-scale research and patterns across whole landscapes. We expect to continue to analyse the BTO’s datasets in innovative ways and to develop new field approaches to integrate new technology with classical survey, ringing and demographic recording techniques. To conduct reactive and proactive research relevant to current and future changes in various landscapes, considering areas such as agricultural and energy policy, urbanization, afforestation and climate change mitigation.